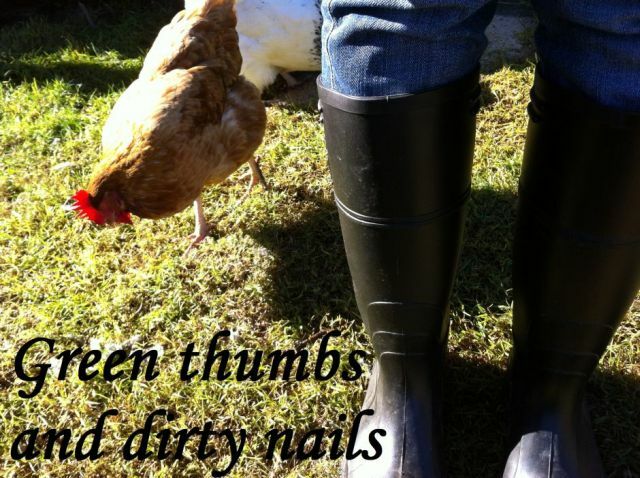 Green thumbs and dirty nails...: A thrifty nesting box. Oxford and Cambridge needed a nesting box to sleep in, separate to the chooks. In the spirit of thrifty gardening, I searched the piles of off cuts we keep along the side of the house "just in case". I found a couple of thick timber pallet pieces, some white panelling, and the spare wire door the chicken coop originally came with. I found some screws and a couple of brackets, and set to work drop-sawing, cutting, and drilling. It was the first time I have ever used an electric saw, and goodness it was easier than hand sawing (which I did try first but our saw is very blunt). The frame came together easily with screws and brackets holding the timber firm. I then measured out each side and cut out the white panelling accordingly. I kept the wired door as the floor of the box, as it is recommended to allow for easier cleaning as ducks can be a bit messy! The wire is smooth galvanized steel that is in no way going to damage the ducks feet. I added a half panel at the front so the ducks have a bit of privacy and warmth. The box fitted perfectly beside the chickens nesting box. I removed a door from the coop frame to allow for the ducks to enter the box without trouble. I closed in the gap above their box with chicken wire to ensure the coop remained secure. The lid can be lifted to retrieve eggs (so long as that is where she lays them!). I know it is all terribly white, but the painting will just have to happen another day. I am thinking a medium brown to match the timber of the hutch. While the panelling is sore on the eye, we have found it to be incredibly weather proof, and has held up well during the recent rainy months. I filled up the nesting box with straw so that Oxford and Cambridge are warm and comfortable while resting. While I was on a DIY roll, I covered the wire hutch part with shade cloth I also had lying around. I secured the cloth with wire so that it won't move an inch. As the afternoon sun directly filters into the ducks nesting box, the shade cloth should provide perfect protection in the warmer months when the ducks are in there. It feels good to make new structures for my garden out of bits and pieces just lying around the yard. I find making in this way to be a far more satisfying endeavour. Who cares if it looks a bit lop sided, and not quite straight. It is sturdy. It fits perfectly. And it was made 100% by me.